Behind every brilliant festival activation is a brilliant production team. So the saying should go. Because in the saturated experiential market, brands compete side by side at festivals to win the passing attention of consumers. A truly stand-out festival activation requires a strategic concept ideated and realised by a team of highly-skilled producers. Execute your festival activation badly and risk your brand being stuck in a deep, muddy hole. Execute it with brilliance and watch consumers connect with your brand in multiple moments that will see them stay as loyal brand advocates for years beyond the end of the festival. At festivals, our senses are naturally heightened. We’re often experiencing all the elements of the great outdoors, we’re feeling the love for nature, we’re smelling the fresh airs, taking in a good dose of people-watching and of course listening to our favourite music. At Taste of London festival, the sensory concentration is of course on our tastebuds. With a multitude of brands from across the Food and Drink spectrum competing to win consumers tastebud approval as well as their hearts, Fentimans wanted to turn up the impact a notch. They asked our design team to help carve their unique jungle vision. Setting the scene with items from our colossal dressing and theming warehouse, we created a visually mesmerising look. With our memorable scene in mind, consumers were treated to the olfactory delight of fresh-smelling floristry to fill the space. With their eyes, noses and of course tastebuds fully immersed in the experience, consumers could enjoy a unique affinity with all the unique qualities of the brand. There’s a lot more to festival-atmosphere then just the music. In between watching their favourite acts and performers, consumers seek to enjoy all forms of art and culture. They want experiences that they can’t get in their everyday worlds. 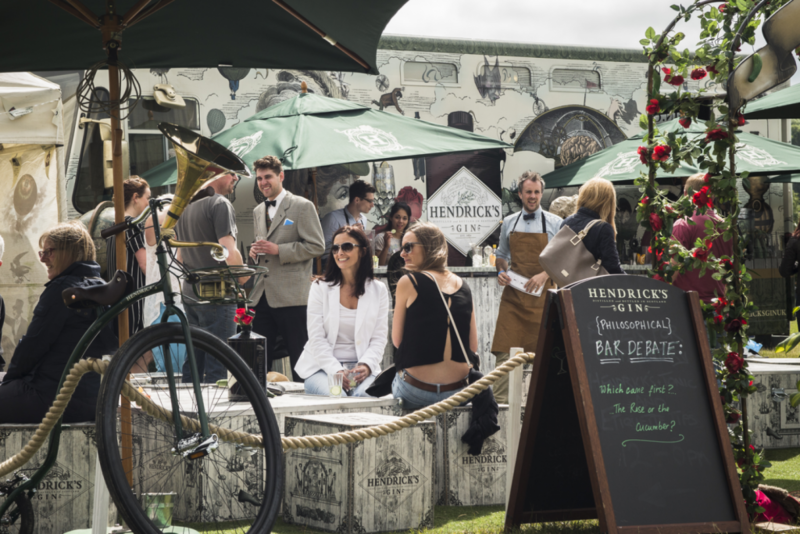 Hendricks Gin is known for doing things a little differently. Wanting to blossom an enduring connection with festival-goers at Eroica, they chose to create a custom-designed Hendricks cinema. We provided all the furniture and props thematising Hendricks’ quirky ‘Cultivate the Unusual’ motto. Once inside the cinema, guests could feel, hear and sip the brand’s unique identity, enjoying film noir with a gin tipple in hand. Entering the festival arena is to enter another world. Consumers choose to attend because they want to forget their every-day lives and release themselves into a sphere of unexpected possibilities. This means if you have an interesting heritage, festivals are the time to play on it. 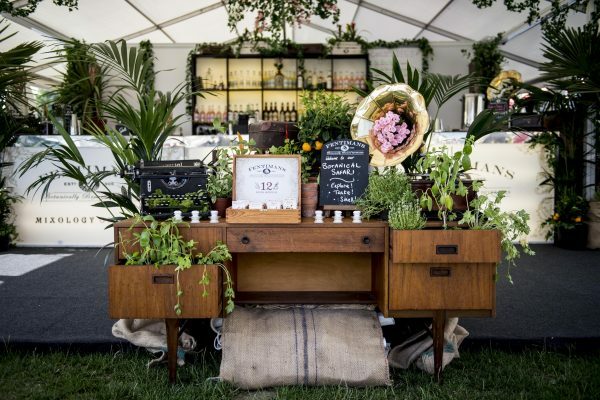 Smeg’s Italian provenance saw them invite guests at the Eroica Festival to venture on a nostalgic journey into their past. 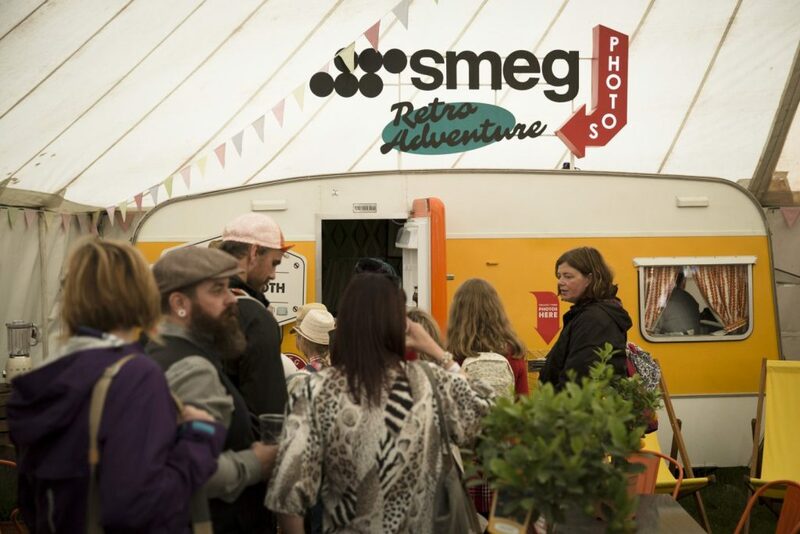 We styled a vintage caravan, turning it into the ‘Smeg Retro Adventure’ pop-up. We considered every detail of the brand’s aesthetic, enveloping guests into Smeg’s brand message and ethos. The caravan was entered through a Smeg Orange fridge door and once inside, guests could interact with the brand’s modern appliances in a series of foodie tastings and demonstrations. We even kitted the caravan out with a photobooth for guests to capture their memories of a retro past well into the future.